We were fortunate to get into the school early, at 4pm, as Derek’s influence remained, despite retiring as caretaker, and he was entrusted with the keys. The rooms that we were using quickly took shape thanks to the good number of club members who were there early. We even took a break around 6pm for a fish and chip takeaway supper. What was unusual was the number of people who set their stands and layouts up on the Friday night. Whilst we put the ESNG N-mod together, St Elizabeth Street and Maxwell were also going up in the main hall. I was pleased this year to book two layouts that have impressed me. The first was City Basin Goods. This ticks a lot of boxes with me, British Railways, lots of parcels stock, compact in size, and working hands-free uncoupling that did work. My pictures didn’t come out quite as expected, but I hope you get the idea. I’ve included the track plan for future reference. 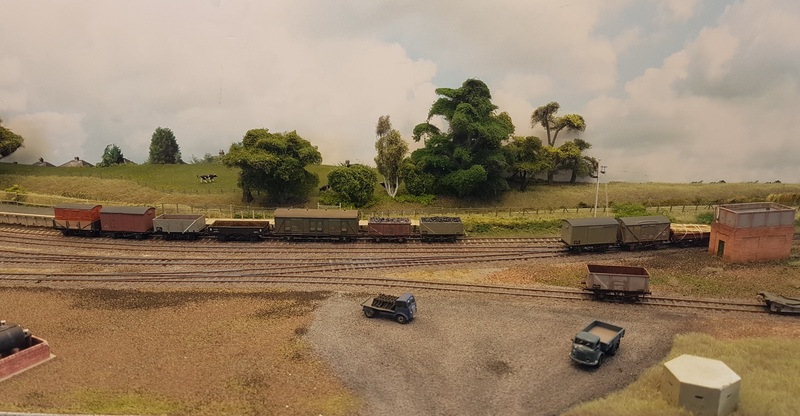 The second layout was Ian Morgan’s ‘Freshwater’. This again ticks a lot of boxes – 2mm finescale, Isle of Wight, and again compact in size. And again hand-free uncoupling. 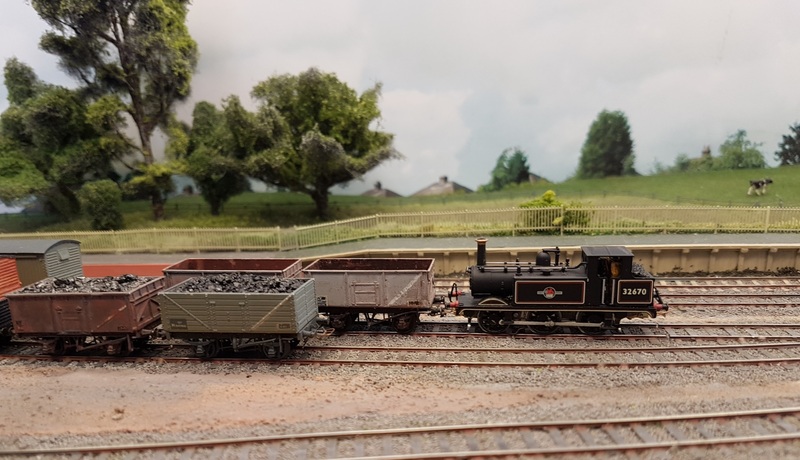 The layout is gradually getting the correct rolling stock – and the locomotive on display was a Dapol Terrier with a new chassis – but for now there is a wider variety, snuck over from the mainland. 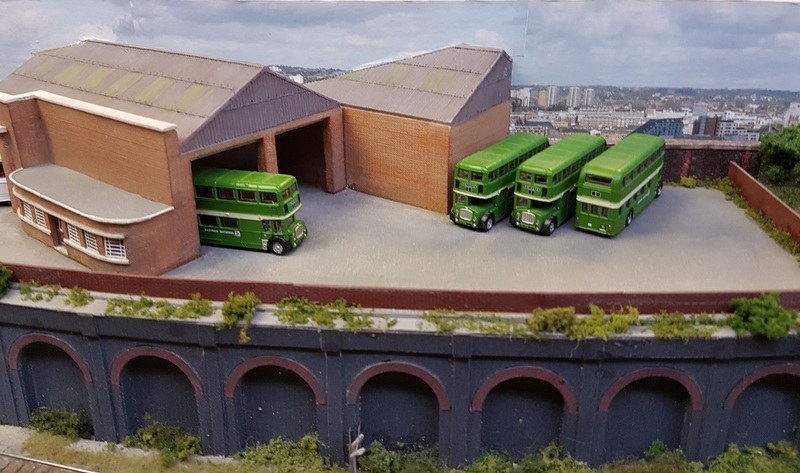 The model is to scale length, and models the station in the 1930’s after the Southern Railway rationalised the original track layout. One extra siding is retained to improve operations. 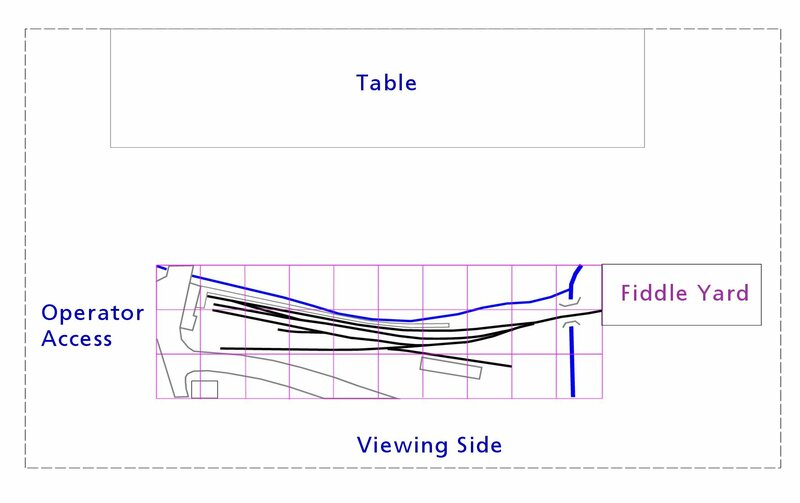 Again, I’ve included the track plan below. Before the show, Ian asked whether his son could bring his ‘box file’ layout. 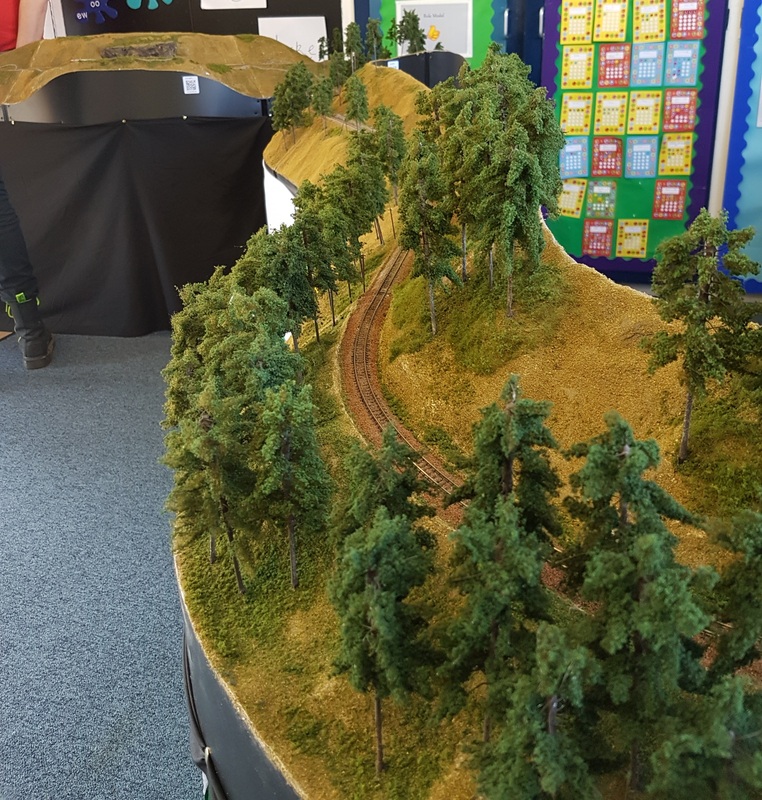 In three A4 boxes, this little model showed that you always have room for a railway. In the same room as Freshwater was Duncan’s Nm Fichtelgergbahn. 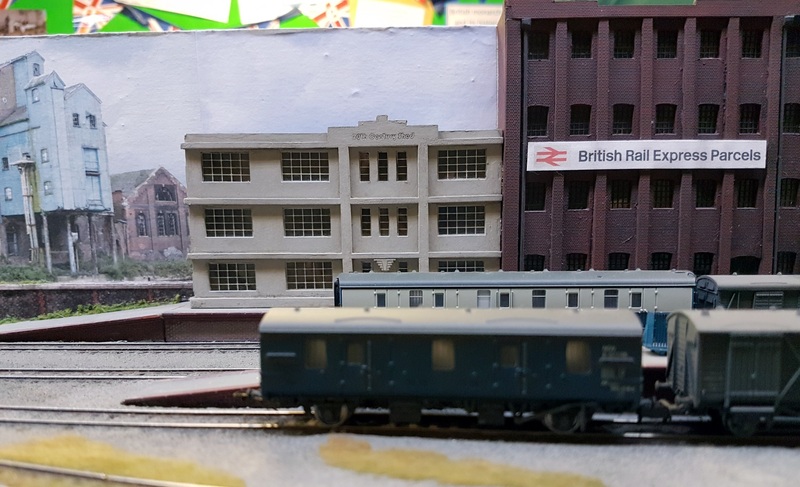 (It wasn’t deliberate to put the ‘funnies’ – non-N gauge – layouts in one room, just worked best that way.) The Fichtelgergbahn is a 750mm gauge Steam railway in Saxony, close to the Czech Border. The arrangement on show modelled the line between Vierenstrasse and Kretscham-Rothensehma stations, in the correct plan shape from aerial photos. The model climbs at 2% (1 in 50) overall, while the real line is over 3% (1 in 30). 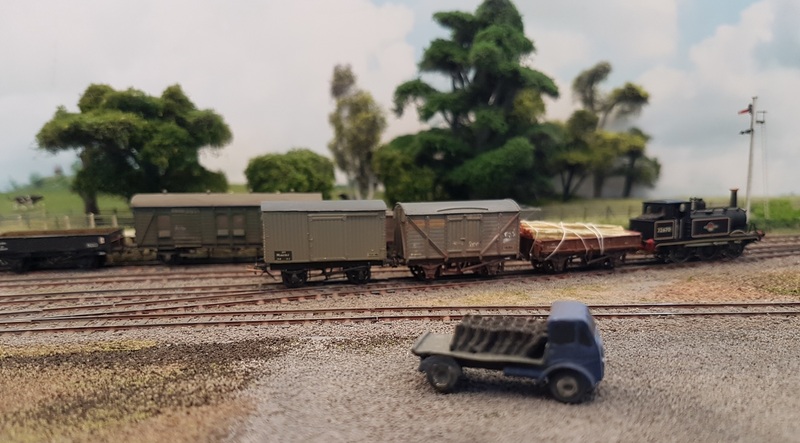 Duncan’s layout mainly uses re-gauged Kato Swiss stock for now, until he finds the time to build the correct stock. Two Marks. 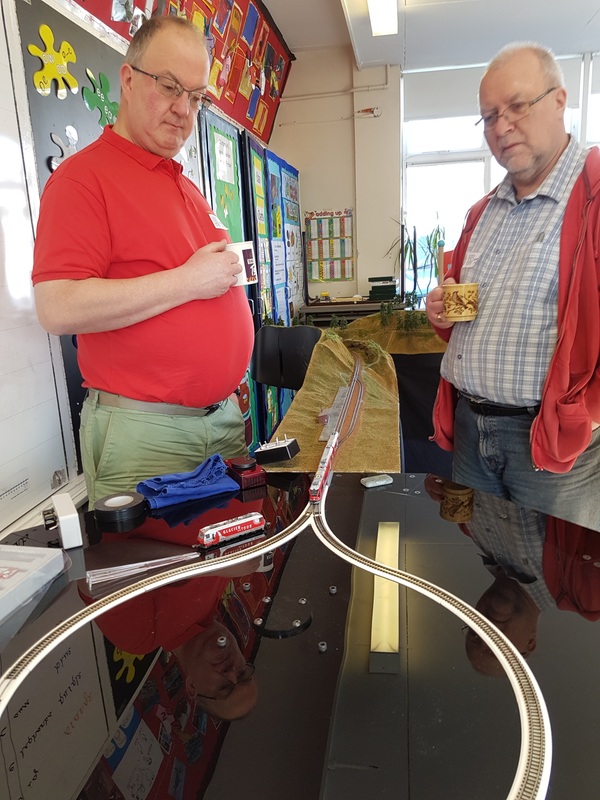 Osborne on the left is admiring his turntable loop – it will eventually rotate to take in trains from any four directions – but not at the same time. Fielder on the right either looks amazed or confused…. 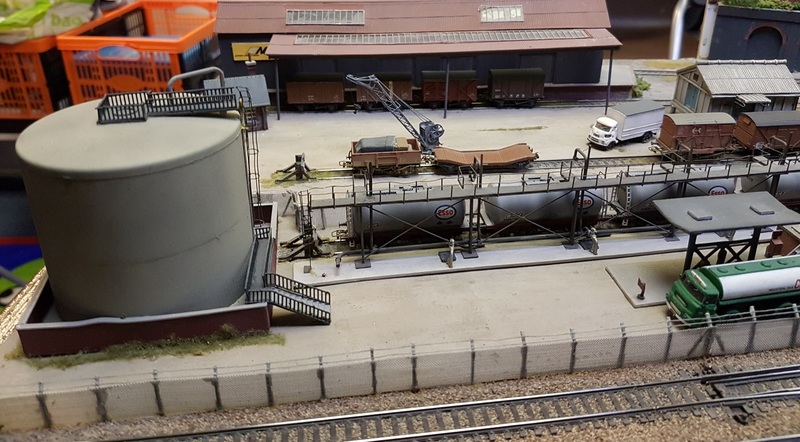 Mark Fielder brought along his Nm ‘pizza’ layout, built to see whether it would work. 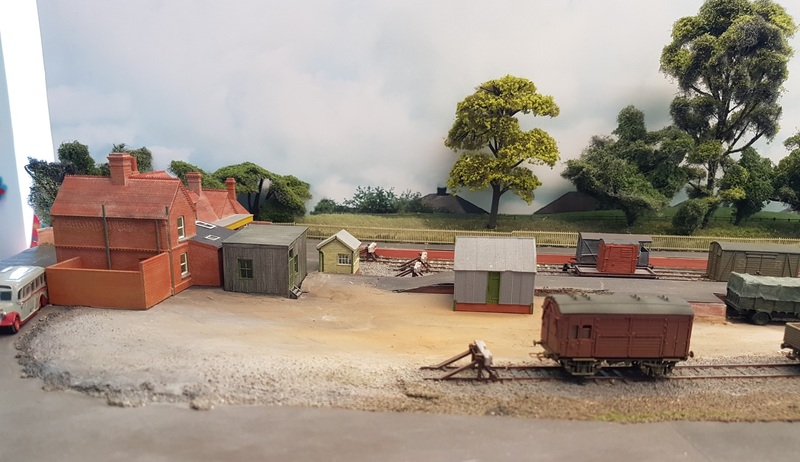 It’s a lovely little layout in its own right. That’s todays pictures. More next post. 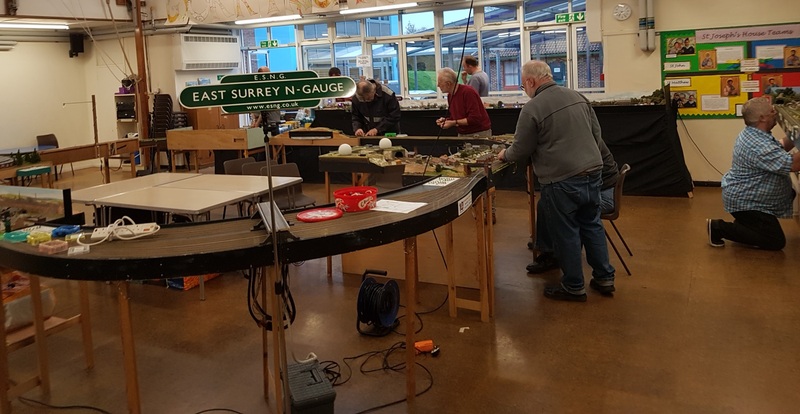 This entry was posted in ESNG, ESNG meetings, Exhibitions, Out and about and tagged ESNG, ESNG Meetings, exhibition, N gauge. Bookmark the permalink. Mark’s “magic roundabout” is actually octagonal. It can run as an end loop, or up to an eight-way junction!